Wildlife Habitat is renowned for its abundance of local bird species. More than half (approx. 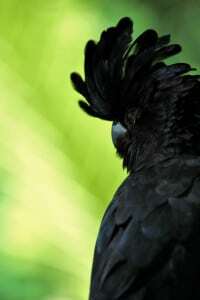 52%) of Australia’s bird species are found within the Wet Tropics region. Over 75 species of bird can be discovered whilst you are walking through our large immersion habitats. 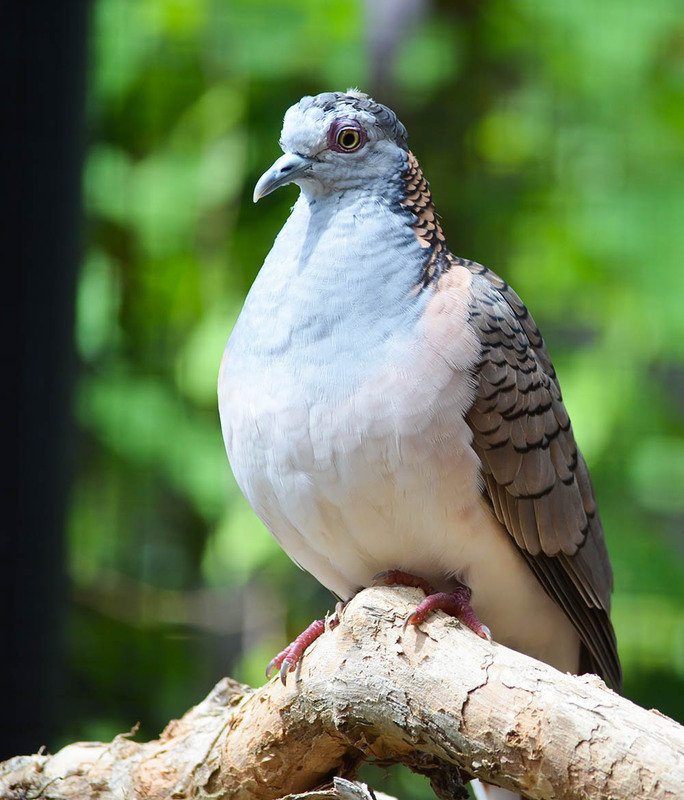 Pigeons and doves are plump birds found all over the world, except for the polar areas. Australia has 22 native species. The main difference between pigeons and doves is their size, with doves usually classed in the smaller category. One thing they both have in common is the construction of flimsy twig nest platforms. Some are so sparse it is amazing their chicks get to fledge! Most species forage for fruits and seeds as well as the occasional insect or two. Most species of birds need to take small gulps of water at a time which they then swallow, but pigeons and doves are able to drink continuously without needing to raise their heads to swallow. Incredible! 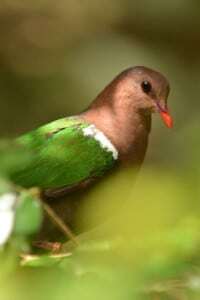 Species found at the park include the Emerald Dove, Rose-crowned fruit-dove, Pied imperial pigeon, White-headed pigeon, Wonga pigeon, Brown cuckoo dove, Forest Bronzewing, Diamond dove, Bar shouldered dove and the Peaceful Dove. Cockatoos are distinguished by their erectile crest. 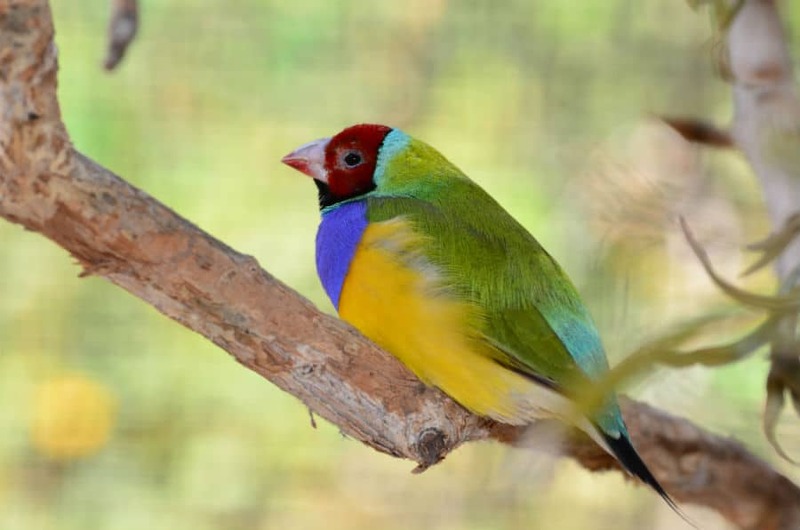 These charismatic birds are common pets in Australia and are one of our most well-known and recognisable species. Generally Cockatoos have black, grey or white plumage with minimal vibrant colours. One of the most stunning cockatoos in Australia is the Pink cockatoo, and in the North, the Red-tailed Black-Cockatoo. Cockatoos have a large robust bill for processing seeds and nuts along with their muscular tongue. 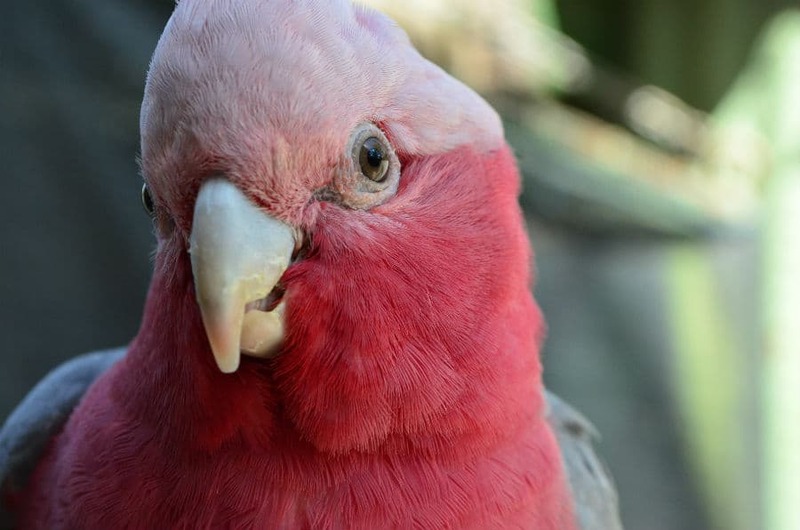 We have 5 different species of cockatoo at Wildlife Habitat – Red-tailed Black-cockatoo, Sulphur crested Cockatoo, Yellow-tailed Black-cockatoo, Galah and the Cockatiel. 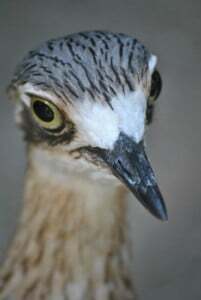 Although common in our local region the Bush-stone Curlew is endangered in the southern states of Australia. This cryptic bird relies on its ability to camouflage during the day whilst hunting for insects by night. The “stone” reference in their name refers to the tendency of these birds to consume small pebbles to help break up the insects they consume. The curlew is renowned for its mournful cry, and this is often the only way it is known to exist in some parts. When disturbed it crouches down low to the ground or freezes rather than flying away which is a major contributor to its decline. Introduced predators such as the fox are a major threat to the species. 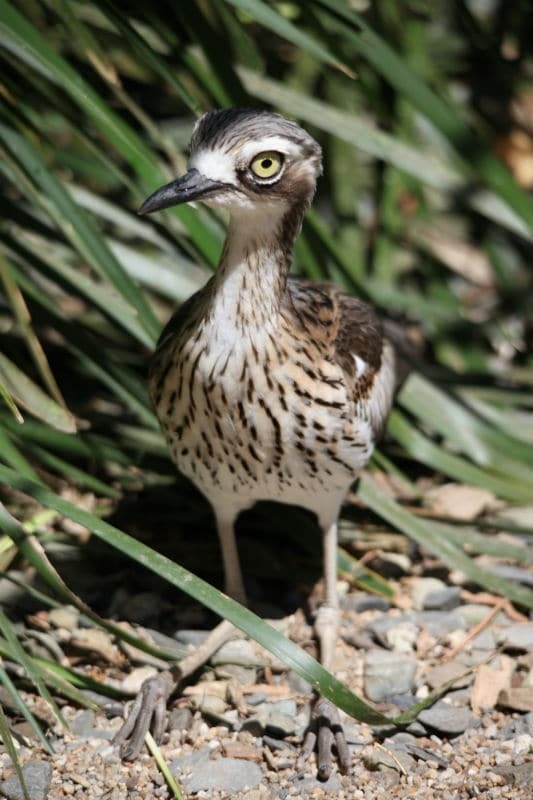 The stone curlew relies on fallen branches and debris to assist in its ability to hide, to both roost and nest. This too may be a contributor to its decline. A duck isn’t just a duck – some dabble, some graze, some dive and some dredge. At Wildlife Habitat we have divers, grazers and dabblers. 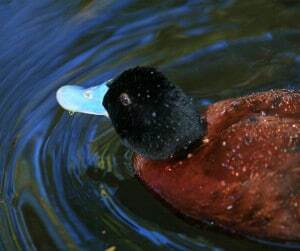 Next time you are looking at a duck, watch how it is feeding and see if you can work out what feeding technique it is using. The main diet of ducks include grasses, aquatic plant life, insects, frogs, worms, and molluscs. One of the iconic features of a duck is, of course, its webbed feet. Having webbed feet enables the bird to move efficiently through the water and with some species, also dive. 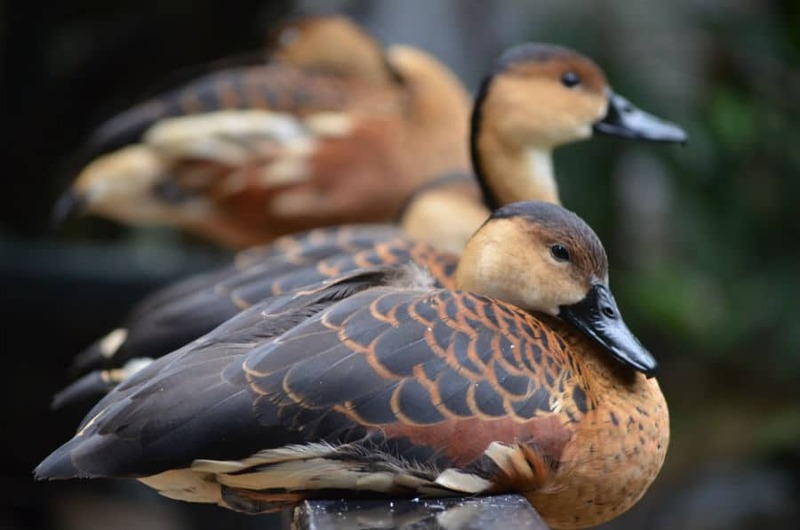 Species of duck and goose at Wildlife Habitat: Wandering Whistling Duck, Pacific Black Duck, Maned Duck, Plumed Whistling Duck, Radjah Shellduck, Magpie Goose, Grey Teal, Chestnut teal, Blue-Billed Duck, hardhead duck. 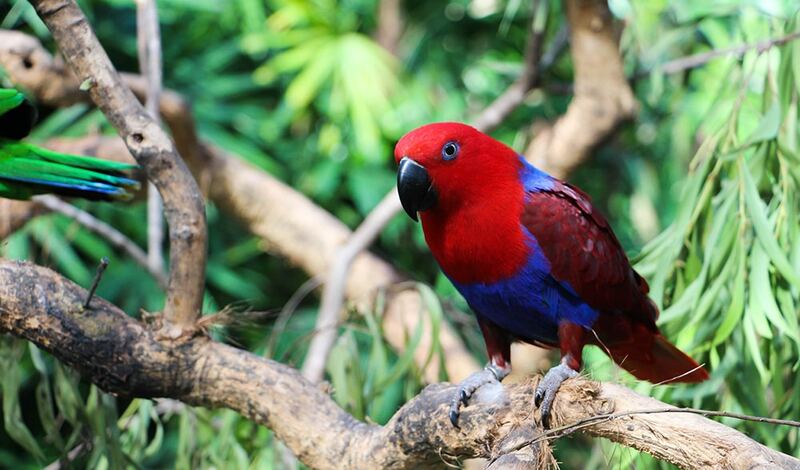 There are representatives of all 3 Australian families of parrots at Wildlife Habitat – the Cockatoos (see Cockatoos), lorikeets and the true parrots. Notable features of all parrots are their strong down-turned beaks, while they utilise their mandibles and tongue to manipulate seeds and fruits in the mouth. Another notable feature is their toe structure of two facing forward and 2 facing backwards which enables them to perch well and climb easily. Did you know that most are left handed? 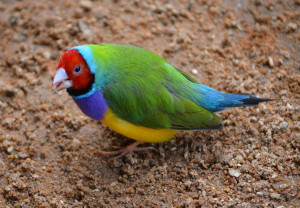 Species include Lorikeets – Red-collared lorikeet, rainbow lorikeet and Scaly-breasted lorikeet, true parrots Double-eyed Fig-Parrot, Cockatiel, Eclectus Parrot, Budgerigar and Pale-headed rosella. 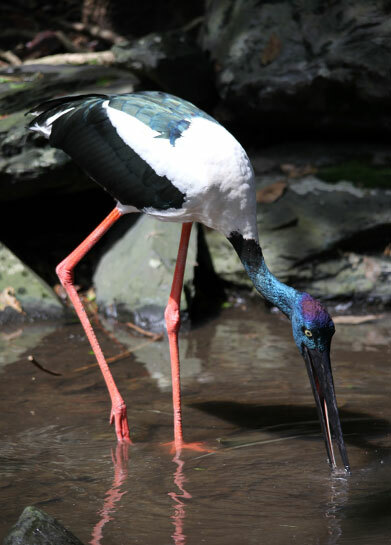 Widely known as the Jabiru, the Black-necked Stork is the only representative of its family within Australia. Wildlife Habitat is proud to have homed the world’s only successful captive breeding pair – James and Jabbie. After James’ unfortunate passing in 2018, Wildlife Habitat is still home to Jabbie, who has mothered 18 young. These majestic birds are predators of the wetlands of the tropical regions in Australia. They are usually found independently feeding on fish from freshwater ecosystems, but crustaceans, baby crocodiles and turtles also form part of their diet. 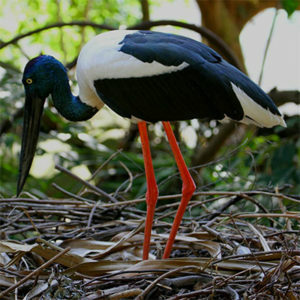 Black-necked storks are restricted to mainly coastal and near-coastal areas of northern and eastern Australia. Throughout the monsoonal areas of northern Australia, the Black-necked Stork is still widespread, but fewer numbers appear through southern QLD and NSW. 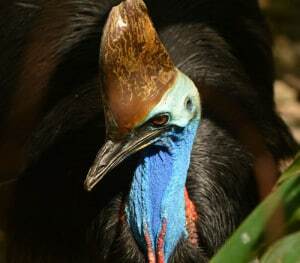 Of the 3 known cassowary species, only the Southern Cassowary (or double wattled cassowary) is found in Australia. A keystone species, it is believed there are only approximately 4000 individuals left in the wild, from Airlie Beach, throughout the Daintree Rainforest and into Cape York. 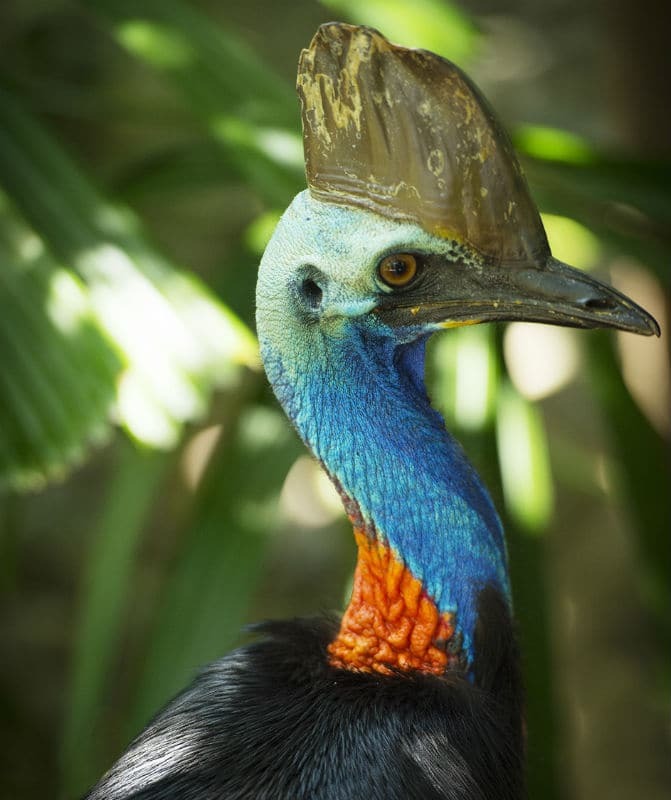 Reasons for the cassowary population decline is predominantly related to habitat clearing, dog attacks and being struck by cars on roads. 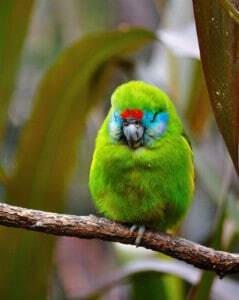 These birds play a pivotal part in rainforest regeneration with their capability for long range seed dispersal. Looking more like they have stepped out of the Jurassic Period, these large, compact and heavy flightless birds can be viewed here at the Wildlife Habitat in our Rainforest walk through aviary.